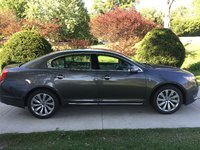 While posh in a grandfatherly way, the 2016 Lincoln MKZ suffers the common drawbacks its lack of European refinement and Asian reliability traditionally garner. Although this 5-seat midsize entry-level luxury sedan offers significant value as a high-end commuter scooter, be aware that rivals in this class are often roomier, more comfortable, and boast techno-bling that’s far less frustrating to operate. In any case, the 2016 MKZ comes in 2 trims, the Base, available with standard front-wheel drive (FWD) or available all-wheel drive (AWD), and the FWD-only MKZ Hybrid. Few changes are evident for the 2016 model year, though a few reviewers claim a hefty redesign is scheduled for the next year or two. Lincoln does assure us, however, that the ill-conceived sliding touch controls on the center console, which debuted in the 2015 model year to operate infotainment and climate control functions, will revert back to less frustrating buttons and knobs for 2016. Meanwhile, trunk space again encompasses 15.4 cubic feet in non-hybrid versions, and 11.1 cubic feet in the Hybrid trim. Returning for 2016 is the base 2.0-liter turbocharged inline 4-cylinder (I4) powerplant common to the Base MKZ in both FWD and AWD variations. Look for 240 hp and 270 lb-ft of torque from the force-fed I4 under the management of the standard 6-speed shiftable automatic transmission, which again boasts standard steering-wheel-mounted paddle shifters. Mileage numbers remain 22 mpg city/33 highway in FWD versions and 22/31 in AWD editions. Those who want a bit more grunt in their MKZ (FWD or AWD) might want to select the 300-hp 3.7-liter V6 powerplant that remains available. Again sporting the 6-speed shiftable automatic, this peppy V6 puts out 277 lb-ft of torque to the tune of 19/28 in the FWD iteration, and 18/26 in the AWD version. The 2016 MKZ Hybrid packs a normally aspirated 2.0-liter hybrid gasoline-burning I4 in combination with an electric motor and 14 kWh lithium-ion battery to put out a total of 188 hp. A continuously variable transmission (CVT) remains standard, with mileage expected to remain an impressive 41/39 from this FWD-only green machine. 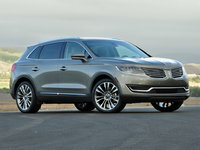 Lincoln claims this gas/electric version will sprint to 85 mph on electric power alone for short distances, while 0-60 time is claimed to be a decent, though certainly not neck-snapping, 8.4 seconds. Except for the adjustment to the controls, expect the 2016 MKZ lineup to carry over many appearance features and creature comforts from 2015. Thus, the 18-inch alloy wheels, along with the traditional leatherette upholstery, heated power-adjustable front seats, and full power accessories are all returning for 2016. Of course, cruise control and telescoping tilt-wheel steering also return, as do rear parking sensors, a backup camera, a remote garage door opener, leather and simulated wood cabin accents, an auto-dimming rear-view mirror, memory for driver’s settings, and dual-zone automatic climate control. Techno-wise, Bluetooth-integrated SYNC infotainment and MyLincoln Touch telematics with an 8-inch touchscreen display remain standard, though the redesigned center-console controls are not expected to make these systems more intuitive. The single-CD player, complemented by 11 speakers, satellite radio, and auxiliary audio input, remains standard. Optional stuff like power-adjustable tilt-wheel steering, leather upholstery, GPS navigation, a power-closing trunk lid, HD radio, a heated steering wheel, heated rear seats, upgraded and upsized wheels, ventilated front seats, and a 14-speaker Surround Sound premium stereo are all available in various packages for the upcoming model year. Additionally, summer tires and a sport-tuned suspension and steering rack, not to mention a power sunroof and massaging front seats, also remain standalone options. Standard safety equipment aboard all iterations of the 2016 MKZ, finally, includes 4-wheel antilock brakes (ABS), front side-mounted airbags, front and rear head airbags, adaptable LED headlights, turn-signal-integrated mirrors, a post-collision safety system, and a remote anti-theft alarm. Meanwhile, rear inflatable seatbelts remain optional, as does the Technology package, which boasts adaptive cruise control, auto high/low beams, lane-departure warnings, lane-keeping assistance, front-collision warnings, and forward-collision-mitigation braking. 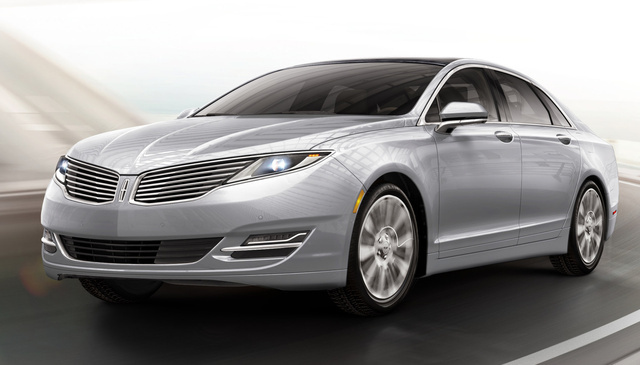 What's your take on the 2016 Lincoln MKZ? Jim The 16 Ford Fusion is already on the dealers lots with no change except less incentives to make it more costly. I can't figure out what Ford is doing by remaining totally pat with the Fusion and likely the MKZ. bobbyd28 What's with all the sardonic comments on this great car. Show me one competitor that Offers the same luxuries for the same price? Not going to happen. Don't use Asian reliability unless you haven't heard of Toyota's issues. That perception is history. Compare MKZ sales to Acura TLX, Infiniti Q40,50, BMW5 Series, Audi 6, Cadillac,Volvo,Jaquar, Genesis.....MKZ outsells them all. It's obvious real world people aren't buying biased writers living on perception rather than reality. Bam! MurDog Bobbyd28 - 3 weeks ago I would have dismissed your comment as talking smack... But after having just tried a Lexus, 2 BMWs, a Cadillac and an Audi, I cannot argue with much of what you say. Useful technology and safety features; guts, sporty road response and a very competitive price point... I loved this car despite my long-standing Toyota/German car bias. I intend to lease one for three years. Have you driven a 2016 Lincoln MKZ? Car drags entering garage. Can cowling be removed and smaller wheels be installed? Can I Install GPS In My 2016 MKZ? My MKZ does not have GPS which, to me, seems to be a standard option in a luxury vehicle. Can I install it aftermarket? How Do You Tell If The Battery In The Fob Is Dead?